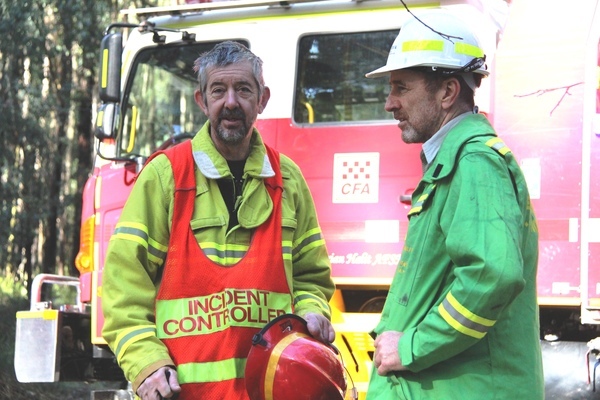 Little Yarra CFA Captain Les Hart with Yarra DEWLP District Manager Nigel Brennan. 182074_01. Pictures: Kath Gannaway.